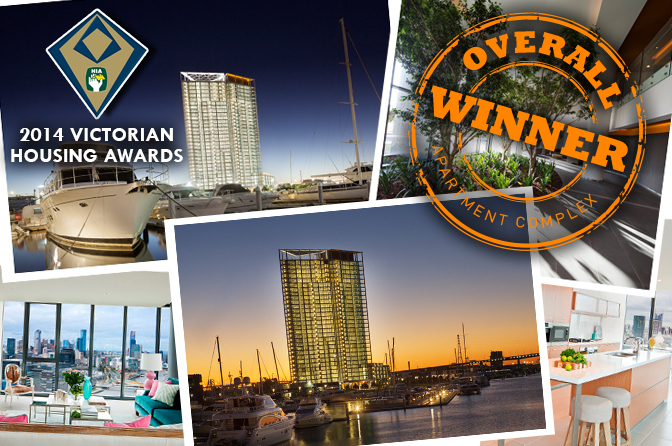 With expansive views of the glittering Melbourne CBD skyline and a diversity of apartment options for varying life stages, Mirvac's Yarra Point tower has been named Victoria's best apartment complex at the 2014 HIA CSR Victorian Housing awards. Mirvac launched Yarra Point to the market in late 2010, with 50 per cent sold on its release. Following the sale of the final Sky Residence in October, the tower is now 100 per cent sold out. Yarra Point's latest accolade is Mirvac's first win in the apartments category at the HIA CSR Housing Awards, and follows the success of Mirvac's townhouse development Laureate at Albert Park, and luxury waterside residence development River at Yarra's Edge, both taking out the national award for the Townhouse/Villa Development of the Year category in 2011 and 2014 respectively. Yarra Point will now go on to contest the Apartment Complex category at the national HIA awards in 2015.